As I approach the first anniversary since starting my yoga journey I find myself reflecting on my travels. On a cold, dark Sunday evening in February I set out to my first beginner’s class with Julia. I had been trying to teach myself yoga for a short time with some DVDs but found it hard to watch whilst I tried to do the postures. 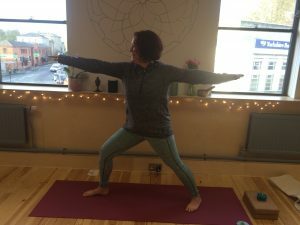 I thought the Yoga Kula beginner’s course could help me understand my warriors and downward dogs but with the knowledge that I didn’t do gyms or group classes and certainly didn’t do sweating in public. I was hoping that yoga would help with my ‘old lady aches and pains’ and perhaps relieve some of my stress and worries. I was torn between enjoying the classes but frustrated at my inability to do the postures. I could not understand the sun salutation sequence as one minute we were standing and the next we were flowing into a downward dog. I was close to tears driving home and every week decided yoga wasn’t for me and I wasn’t going back the following week. Despite my reservations I booked onto Becky’s foundation workshop mid-course to keep my practice going during the half-term break. I got my certificate after completing the beginner’s course (hurrah!) and then took a deep breath and signed up for my first regular class. As I knew Julia I signed up for her yin class. 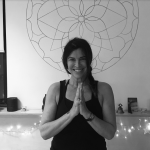 My inadequacies were seemingly confirmed when I compared myself to my adjacent yogi……at the end of the class I discovered she was Angela (the big boss!) and so no wonder she was so fab! I signed up for a few more classes and then committed myself to a pass, the first of so many. 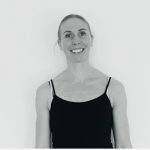 I fitted classes around my work schedule and tried out hatha, yin, ashtanga and flow with many different teachers, all of whom were very understanding and patient with my perceived inadequacies. As I got to know some of the other Kuli’s I soon learnt that these were commonly shared concerns. I moved on to try a few workshops (invariably followed by tea and cake, hurrah! ), went on the summer and then autumn retreats in the lakes and found myself a ‘regular’ Kuli. I now start the week with a Monday morning hatha class, a fantastic cure for Monday morning blues. Mid-week I relax at Julia’s yin class following which I am force-fed dark chocolate. I energise my weekends with 1 or 2 ashtanga classes and then try to fit in flow, ashtanga and hatha classes and workshops at other times during the week when work and home commitments permit. 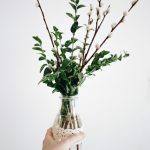 What have I learnt during this last year? Well, I know the difference between my warrior 1 and 2s and can do a shoulder stand. I have learnt most of the standing sequence of the primary series but fear my arms will never be long enough to do the binds and I apologise to fellow Kulis who had to hold their chaturangas whilst I tried to catch up. More importantly I now understand what the teacher mean when they say ‘wherever you are is perfect’ and ‘you have nowhere to go and nothing to do’. As a gardener I appreciated Liz’s reminder that trees naturally wobble. My savasana is less of a worrying to do list in my head and more of a relaxation and perhaps a sad end to the end of class. I have made a ‘mini’ studio in a spare room to facilitate my home practice, although this is often hindered by my cat taking over my mat! I try to not feel guilty if, after feeling tired following a busy day at work, all I can manage is an inversion ie legs up the wall and cactus arms. That is my yoga practice for that day. I have a travel yoga mat to take away on holiday to keep my focused. Even on a brief stay away from home I use my hotel bed to facilitate some restorative postures. I love the calm feeling I have after being on the mat and I am getting better at taking this off the mat. Mindful breathing has helped me through some difficult times at work and whilst waiting in a busy supermarket queue. I must also mention the shopping opportunities afforded by Sweaty Betty-I have a fantastic yoga wardrobe! So what next? Well I plan to continue to develop my yoga practice both at Yoga Kula and at home. I am booked onto some fantastic workshops and another retreat. I have met some lovely people and made some fantastic friends. I feel both physically and mentally stronger both on and off the mat and I hope this continues. My ‘old lady body’ is a lot stronger and my shoulders continue in their journey away from my ears. Most importantly I understand the importance of my regular yoga practice and the times I feel I am too busy to do yoga are the times that I need it the most.